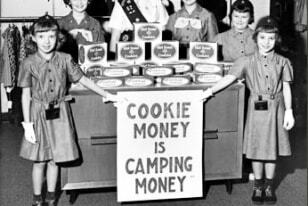 Once upon a time an Oregon Girl Scout troop organized a bake sale. 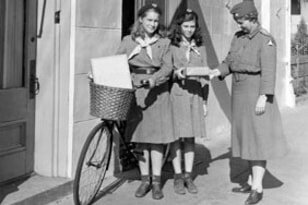 Nearly a century later, the Girl Scouts of the USA command a $700 million cookie empire, unloading 200 million boxes a year, according to company literature. 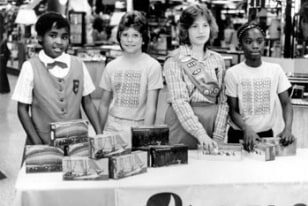 The Girl Scouts built their booming business thanks to decades of smart organizational choices, good products and an unbeatable brand image. This incredible growth story is a model for non-profit and for-profit companies. 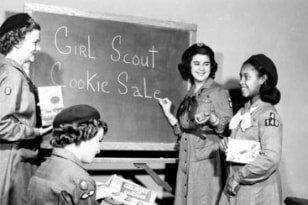 In 1917, the first Girl Scout sold a cookie — a troop of scouts in Muskogee, Okla., organized a cookie-based fundraiser in at their local high school and an idea was born. Later, in 1922, a regional director for the Girl Scouts of Chicago composed a simple cookie recipe and published it in the nation-wide newsletter The American Girl. All 2,000 Girl Scout troops in America gained access to a common formula, a recipe that most closely resembles a simple sugar cookie. 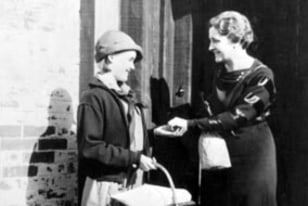 Then between 1933 and 1935 organized cookie sales began to grow across the country. 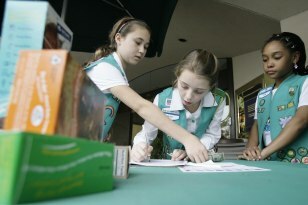 Girl Scout Troops in Philadelphia and New York City began to use the cookie selling model to promote the marketing and sales skills of their local troops. The Philadelphia troop concocted the idea to bake the cookies commercially and market them in the windows of local utility companies. In 1936 the National headquarters of Girls Scouts of America hatched a new plan of baking all Girl Scout cookies in commercial bakeries, shortening the lag time in cookie production and increasing the sales inventory for troops across the nation. Within a year, roughly 125 local chapters registered the initiations of cookie sales drives using the commercially baked cookies. The Girl Scouts made a change in their growing their empire to assist in the war shortage. In addition to selling their cookies (48 to a box! ), they also collected and distributed a number of things like war bonds, flour, eggs, and cans of animal fat. Cookie sales continue apace but are impacted by the constraints of the war effort. To strengthen branding opportunities, the organization added three new recipes to its repertoire: “Shortbreads,” “Peanut Butter Sandwich” and the iconic “Thin Mints.” By 1956 there are 6 varieties in total and Girl Scouts are selling them nationwide to an eager public. As baby boomers swelled the ranks of troops throughout America, sales of cookies increased as more and more individual chapters grew in membership and took up cookie sales. The National HQ became a de facto headquarters to a wildly successful chain of decentralized revenue streams as revenue grew. The caramel, coconut and chocolate covered cookie was released during America's Bicentennial year in 1976 and goes on to account for 19 percent of the total sales of Girl Scout cookies by 2010. Later, in 1978, national headquarters made a decision to make all packaging, pricing and quality uniform across all chapters. It also eliminated contracts with a number of commercial bakeries in order to more closely monitor their production. 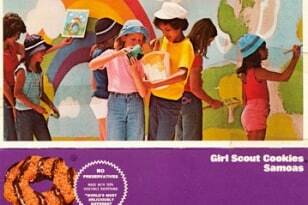 In 1979 all cookie boxes were re-designed to illustrate the good works that Girl Scouts are able to perform with the revenue generated from their sales. A nation with a growing addiction found it even more difficult to refuse the darling sales pitch. Business Insider: Why is UPS is so efficient? "Our trucks never turn left"
By the 1980s, Girl Scout cookies were such a major player on the market that one of the country's largest commercial bakery companies, Keebler, made a decision to up their partnership with Girl Scouts of the USA and by 2008 will be one of only two licensed producers of Girl Scout cookies. 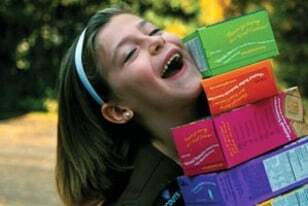 In 1998, HQ introduced “age appropriate awards” for cookie sales activity that gave their army of salesladies a new incentive to close as many deals as possible during the short, seasonal sales windows. Badges include the Cookie Count, Smart Cookie, The Cookie Connection, Cookie Biz and, for serious salesladies, Cookies & Dough. 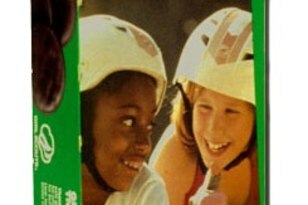 After responding to the Trans-Fat controversy of 2005 (Girl Scout cookies, like almost everything else, contained Trans-Fats) by making their product more health-friendly and publishing the nutritional content of every variety on every box, National headquarters stepped up their profile in the 21st Century. In a sign of embracing the marketing realities of today, cookies are sold online and scouts will be hawking cookies at “Pop Up Stores” in NYC through May. Revenue from the sales of Girl Scout cookies has been around $700 million since 1999, based on sales of 200 million boxes at $3.50 per box. For each box sold, 75 percent of the money goes to the local council, while 25 percent goes to bakeries. National HQ also receives royalties for licensing.